Last year, I did a year in review post. Since I've been mostly MIA, I'll use this opportunity to look back on my year, as well as update you all on what's been up in the Happy Triathlete world lately! January: I spent a lot of time on the trainer, at the spin studio, and on the indoor track. February: We embraced winter (and the coldest month ever) and went out skate skiing a few times. The plan for 2016 is to become a real x-country skier! March: I went to Clermont, Florida for a week long training camp! I got to soak up the sunshine (aka thaw out) and completed my first 100+ kilometer bike ride. April: Training and life continued as I turned 29. 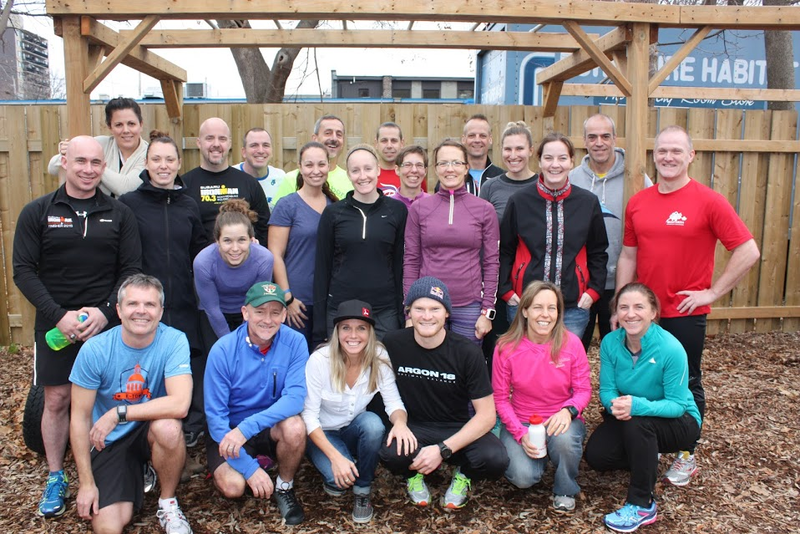 May: The Ottawa Race Weekend brought a huge 10k PR! 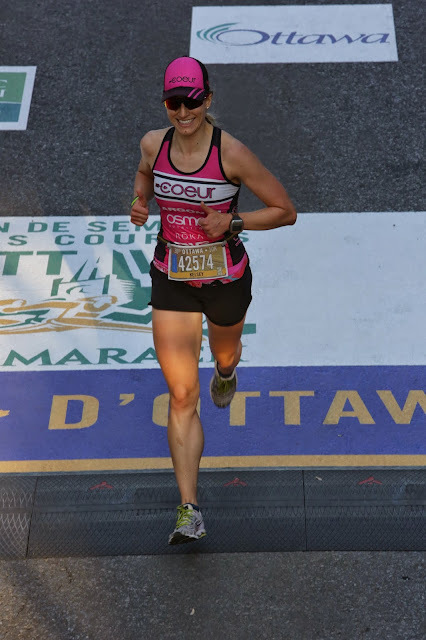 It was also my first chance to rep Team Coeur! I also spent a few weekends training up at Mont Tremblant. June: I was diagnosed with a stress fracture, my first official sports injury of my career. It was a challenging month mentally and physically. 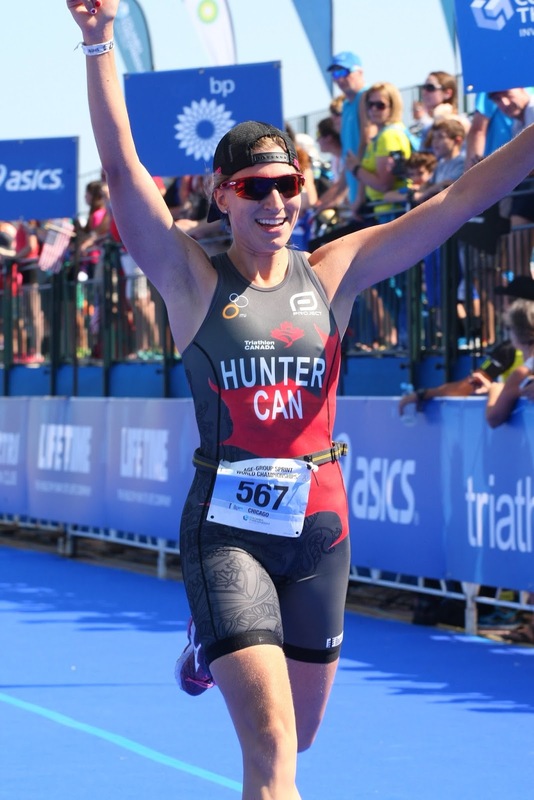 However, June also included the first race of the season, and even though I couldn't finish the race, I had an amazing time in Mont Tremblant with my tri family! August: I got to finish a race!! Finally! And I finished as the 2nd place overall female. It was definitely the most fun that I have ever had in a race. September: Worlds in Chicago was the highlight of my season. It was an incredible experience to represent Canada in an international event. My race went well and I had a great time with my mom, grandma, and friends! October: I chilled out a lot and took pretty much the entire month off of training. I got to visit Chicago again for a dear friend's surprise 30th birthday party. November: Magali Tisseyre and Eric Lagerstrom came to hang out with us at the OTC Coaching Clinic! And I mostly continued my off season. December: I switched coaches and embarked on MAF training. It has been challenging, but exciting to see some changes starting to happen. 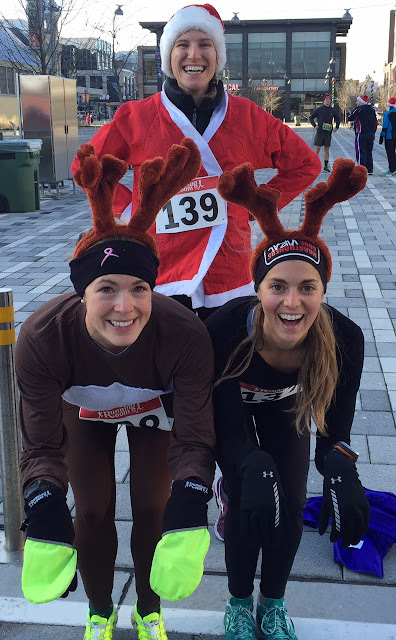 My roommates and I did the Santa Shuffle 5k (non-timed race). I went on a few runs and to my first Crossfit class in 8 years with my new beau. And I got to spend a lovely, fun-filled week in Seattle for Christmas with my whole family! During the week, I got to run with my puppy nephew Ralph. My 2015 was a year of lessons - particularly in patience - and I feel like I grew a lot as a person and athlete. There are a lot of amazing things on the horizon for 2016 though, so I'm happy to be turning the page to a new year and new adventures. Wishing you a wonderful last few days of 2015 and a happy, exciting year, full of new challenges and opportunities in 2016! Great year!! Mostly!! :) Happy 2016!! Wishing you all the best with new adventures, memories, and fun!! Patience is a great lesson and I feel we all have our "year" to learn it. 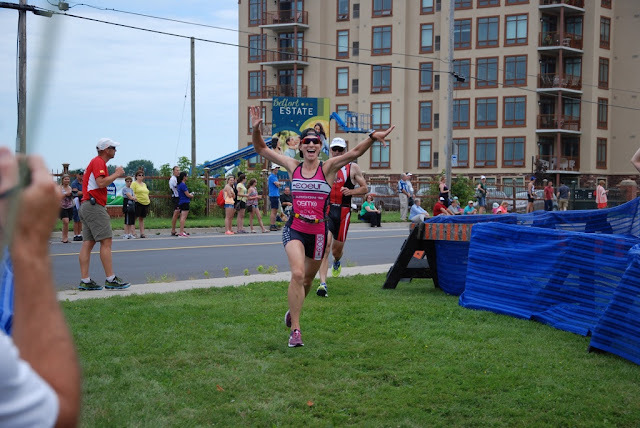 I learned a lot about patience this year as well as I had to put off training and racing while being pregnant, recovering, and gaining my fitness back. Patience is probably the most valuable thing we can learn as athletes. Cheers to awesome 2015 and to new adventures in 2016. You are killin' it girl!! !